I’m disgusted, outraged and frustrated — an increasingly common set of emotions for me in Gainesville FL. I was asked to attend a charrette this afternoon about the proposed gas station/convenience store to replace the old Dodge dealership on North Main. I also attended the evening design meeting as the neighborhood association president for my compact, walkable neighborhood, which is adjacent to this project. In many ways, the project is impressive. Far and away, the most impressive feature is putting the gas pumps behind the convenience store. That alone should win them many awards. I also like the connector street to NE 2nd Street. Some other features are nice touches, but trivial by comparison. In any event, I strongly believe that in downtowns and other urban locations of a city, the pedestrian is the design imperative. Everything else comes second. In this case, we have a project that is at the northwest gateway of the most walkable, ped-friendly neighborhood in north central Florida. But the old bugaboo has raised its fearsome, tiresome head in this case. North Main Street and North 16th Avenue is considered a “failed” intersection (for cars, that is). As I mentioned at a speech I gave at Florida State University yesterday, the “failed road” is a common, inflammatory term used by car chearleaders have their way when they seek a bigger road or intersection. Wwho could be against “fixing” a “failed road”? People are dying! So in this case, we have the spectacle of City of Gainesville and Alachua County “planners” & engineers (who have probably never walked to a store in their lives) demanding that this proposed gas station provide the “amenity” of “fixing” this “failed” intersection by widening that stretch of North Main from 4 lanes to 5. Not only do they ignore the endless refrain that we cannot build our way out of congestion. They also overlook the stunning, ironic fact that by widening this intersection from 4 lanes to 5, it becomes a failed intersection for pedestrians. In the most walkable neighborhood in the area. I find it enormously illuminating that while we have precise, mathematical, well-known ways to determine when a road/intersection is to be called “failed” when it comes to cars, we have no equivalent way to know when a road/intersection is to be called “failed” when it comes to pedestrians. Why is that? Is it perhaps that most of us are never pedestrians and therefore always forget that there are, in fact, pedestrians in the community? Note that, of course, the 16th and Main intersection is already a failed intersection for pedestrians. 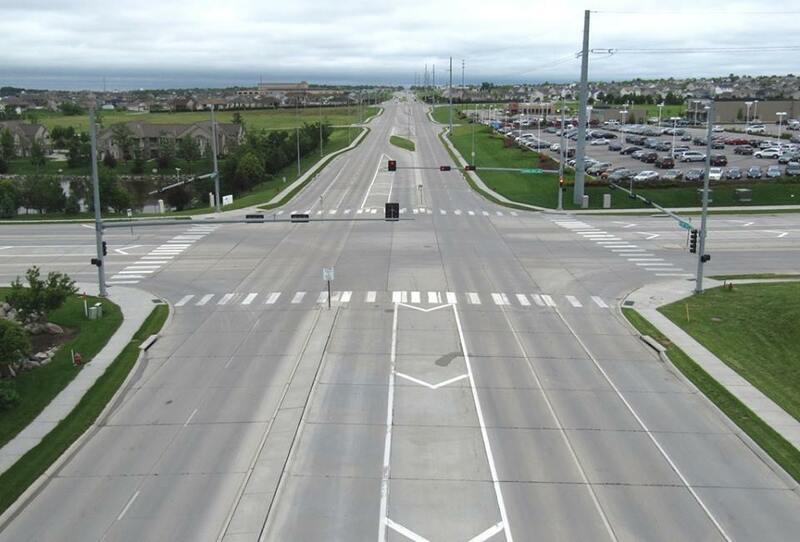 Unlike with cars, where “failure” refers to a situation where a large number of cars are delayed for a brief time, a failed intersection for pedestrians occurs, in my opinion, when there are no pedestrians using it. And hardly anyone ever walks that intersection (due to existing poor design and cow-town densities nearby). Now, city and county staff are demanding that this intersection become even more of a failure for pedestrians. So much for the pedestrian as the design imperative. So much for this being a community with a walkable, prideful sense of place. One of the main aspects of my outrage is that the gas station designers find that it is very costly for them to give up 8 feet of their property to install a turn lane at the intersection. They agree with my point that by far, it is preferable to improve the intersection by taking Main Street from 8th Avenue to 16th Avenue from 4 lanes to 3 (and have turn pockets along the way). 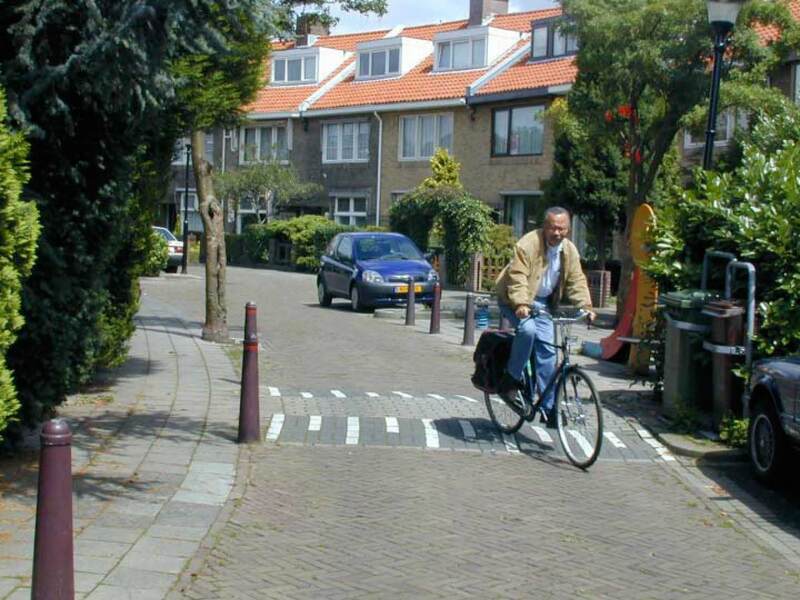 The street becomes more permeable, safer, livable, and efficient. And more likely to promote healthy retail and residential development along the corridor. But they were stopped in their tracks when they learned, recently, that Alachua County staff opposes taking this portion of Main from 4 lanes to 3. I had heard that the obstacle to doing this in the recent past was that Publix grocery store was foolishly objecting (incorrectly believing that such a diet would reduce car-carrying capacity). Apparently, county staff do not understand that such a diet would not reduce capacity. Or is staff opposed because they heard that Publix is opposed, and that it is therefore a non-starter to recommend lane removal? Why would city and county staff who do not live in our neighborhood go against the wishes of the adjacent and walkable neighborhood? Why are they instead calling for the further degradation of the neighborhood perimeter? Why do the “escape route” interests of outlying suburbanites outweigh the community-building, community-enhancing wishes of the neighborhood? As a lifelong bicycle commuter who has suffered from trying to bike in hostile American roads, I appreciate and completely understand the perception on the part of many bicyclists that American roads are extremely dangerous for bicyclists, as well as pedestrians. And even for motorists. For many years, it seemed obvious what the solution to this problem of dangerous roads needed to be: More caution signs, caution lights, caution road markings, etc., etc., etc. Indeed, this solution seems so commonsensical that road engineers in America have given us stronger and stronger doses of this remedy over the past several decades. One definition of insanity is to continue to apply the same tactic to solve a problem despite the repeated failure of the tactic. This form of insanity has certainly been evident in American road design over the past century, as we keep applying the same “safety” tactics and our roads continue to become less safe over time, and as a result of such tactics. Why, then, do American roads seem to be in a downward spiral of increasingly hostile, unsafe, reckless, car-only death traps? I firmly believe that the answer is not that Americans, somehow, are genetically hard-wired to be unsafe, enraged, irresponsible drivers. That, mysteriously, only Europeans have a culture or a gene pool that is courteous and safe when it comes to travel. I cannot buy this notion because I am a scientist and a cultural materialist. The behavior and ideas of nearly all of us is largely shaped by the material conditions we experience in our everyday world. It is not due to unexplainable, cynical differences in culture or genes between Americans and non-Americans. Or in what Americans are taught in schools. Forgiving road design says that roads should be wide and free of obstructions such as on-street parking or nearby street trees along the edge of the street. Such design “forgives” the motorist who drives recklessly and inattentively high-speed because there is less for the driver to crash into if driving mistakes are made. It should not surprise us at all that forgiving road design leads to a substantial growth in high-speed, inattentive driving by Americans. Nearly all drivers drive at the maximum speed at which they feel safe. Forgiving roads ratchet up that safe speed. They also encourage folks to, for example, put on make-up or talk on the cell phone while driving. “Why not,” says the motorist. We are so busy these days that we need to multi-task as much as possible, and the forgiving road makes it easier for us multi-task, because we don’t need to be very attentive. The forgiving road is the common sense design paradigm that assumes that American drivers are reckless and unsafe. Unfortunately, it is a self-fulfilling prophecy, because forgiving road design breeds a growing number of high-speed, inattentive, unsafe drivers. Again, it is material conditions that deliver us the behavior we see, not mysterious cultural or genetic differences. Nearly all Americans exclusively drive on free roads and park in free parking lots. This is a huge subsidy that induces many to drive a car everywhere. We beg people to drive a car for all trips with these market-distorting subsidies. The result is that we artificially create more motorist trips than would occur naturally. We artificially reduce the number of people who walk, bicycle or use transit with this overwhelming form of auto socialism. The subsidy makes it extremely irrational for someone not to drive a car everywhere. The near absence of pedestrians, bicyclists and transit users in America means that there is no “safety in numbers” for such travelers. Motorists in America are not accustomed to encountering such travelers. As a result, many do not know how to safely share the road with them. Or are surprised when, on rare occasions, they encounter one. In other words, were it not for the big subsidies, there would be a lot more people bicycling, walking or using transit. And their large numbers would mean they would be a lot safer. Motorists who would be seeing them more often would expect to encounter them more often, and therefore be more safe and courteous near them. How Do We Remedy These Problems? Calming strives to design a road in such a way as to obligate the motorist to slow down. Calming reduces the speed at which the motorist feels safe, which results in slower average car speeds. It also forces the motorist to be more attentive. Not paying attention can, for example, lead to a sudden jolt when unexpectedly reaching a speed hump or roundabout. An enormous number of high-quality studies throughout the world have shown that calming results in substantial increases in safety, higher quality neighborhoods, and more non-auto travel. Perhaps the single most effective way for pedestrians and bicyclists to feel safer on streets is to slow down car speeds. Roads need more “friction” in most cases. One-way streets, multi-lane streets, big vision triangles at intersections, wide travel lanes, removal of on-street parking, and removal of trees and buildings from street shoulders all serve to reduce friction and create a “racetrack” road feel that says to the driver: “You can drive like Mario Andretti and chat on a cell phone while driving here!” Counter-intuitively, it is actually safer to increase street friction because it forces motorists to slow down and be more attentive. As a bicyclist or pedestrian, I very much hope that the motorist is obligated (by road design) to be attentive to his/her driving, instead of discussing, say, a soap opera on the phone. Therefore, we need to convert one-way streets to two-way, start removing lanes on streets with more than 3 (i.e., put them on a diet), shrink vision triangles, narrow lane widths, restore on-street parking, restore large canopy street trees, and pull buildings up to the streetside sidewalks. In sum, it should not surprise us that the safest, most attentive driving occurs in communities that have avoided high-speed, forgiving, caution-cluttered road design. Narrow, tree-lined streets with on-street parking, modest building setbacks and tight vision triangles breed safer, slower, more attentive driving that increases non-auto travel and makes such travel safer. Conversely, the American paradigm of big, frictionless, subsidized, forgiving roads cluttered with caution signage breeds unsafe, high-speed, inattentive driving that seems to deliver a worsening problem over time. The more we apply this conventional “medicine,” the worse our roads and motorists seem to become.